You'll get in some beach time at St. Kilda Beach and Eastern Beach Reserve. You'll explore and learn at Melbourne Museum and Buxton Contemporary. Explore Melbourne's surroundings by going to Sorrento Front Beach (in Sorrento), Torquay (The Great Ocean Road & Bells Beach) and Ballarat (Sovereign Hill & Art Gallery of Ballarat). Dedicate the 13th (Fri) to wine at some of the top wineries in the area. 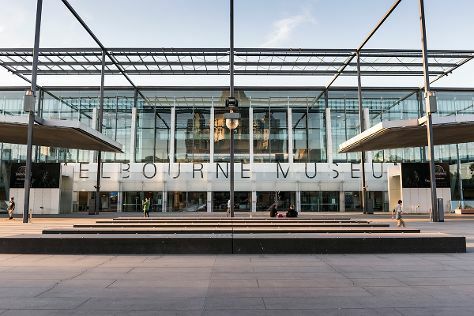 There's still lots to do: shop like a local with Melbourne Central, see the interesting displays at The Ian Potter Centre: NGV Australia, take an in-depth tour of Shrine of Remembrance, and get to know the resident critters at Melbourne Zoo. To find ratings, maps, and tourist information, refer to the Melbourne day trip planning site . If you are flying in from Malaysia, the closest major airport is Melbourne International Airport. September in Melbourne sees daily highs of 20°C and lows of 7°C at night. Cap off your sightseeing on the 5th (Sat) early enough to travel back home.